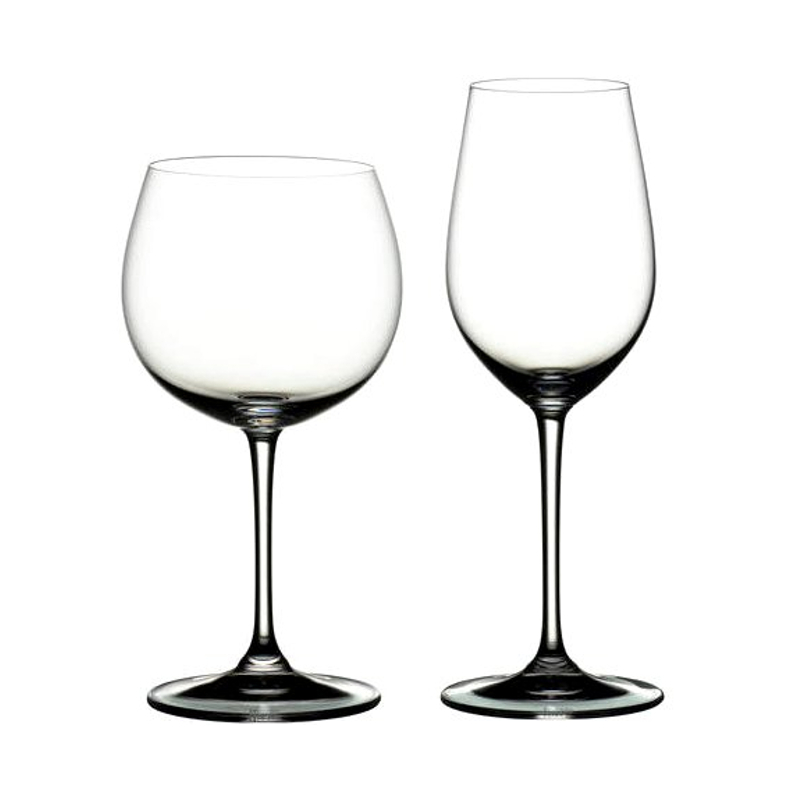 Vinum XL is a bold adaptation of Riedel's popular Vinum stemware line and it incorporates the same varietal-specific shapes into larger sized silhouettes for a dramatic effect at the table or bar. Developed for big, bold and concentrated wines, Vinum XL is created in leaded crystal and machine blown in Bavaria, Germany. This set includes two Riesling Grand Cru and two Chardonnay/Montrachet glasses. The sophisticated Riesling glass draws out the unique qualities of the Riesling grape, perfecting the perception of fruit, minerality, acidity, texture and aromatics to optimize the drinker's impression of the wine and guide the flavors to a satisfying finish. With its increased capacity, the Vinum XL Montrachet glass incites the development of a diverse array of aromas, showcasing all subtle flavors. Stunning to the eye, palate, hand and nose, these glasses compose a spectrum of thrills.